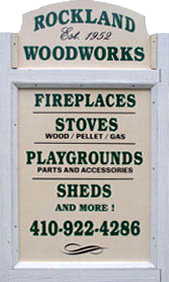 Rockland Woodworks in Baltimore MD offers Wood Stoves, Fireplaces, Gas Stoves & Pellet Stoves by Regency, Continental and Enviro. Installation on all products is available. Want to install yourself? We have DuraVent chimney and Stove pipe. Expanded showroom now open with woodstoves on display. Stop in today to see high quality products at great prices or give us a call and ask for Mike. A builder's and homeowner's dream! A small sized, space saving designed gas stove to complement any room in your home. The CDVS280 provides outstanding performance in a minimum amount of space! 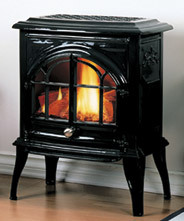 Enviro is proud to present their newest generation of wood stoves. 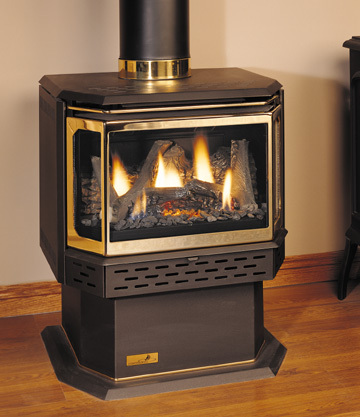 The Enviro 1200 wood stove is EPA approved, robust, and offers clean efficient heat. With up to 67,000 BTUs at 72% efficiency, you will enjoy looking through the large viewing glass, kept clean by the ultra strong air wash. Choose from the step top or the flat top body style, gold and nickel options, and pedestal or legs. The Choice is Yours! 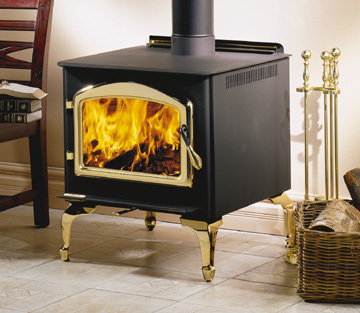 The traditional design of Continental wood stoves combines optional accessories along with an efficient cooking surface making this wood stove series a functional yet attractive addition to your home. 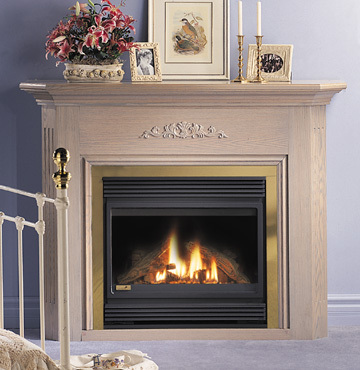 The Enviro Kodiak wood fireplace insert is robust and superior. Featuring "Progressive Burn Technology". Progressive burn technology is designed to keep hot embers in the firebox after a nights burning. We do this by restricting the air in the back of the firebox (leaving hot embers for you to start your morning fire!) Our secondary air tubes then add more air to the fire as the burn progresses to the front. This maintains efficiencies and keeps emissions low. 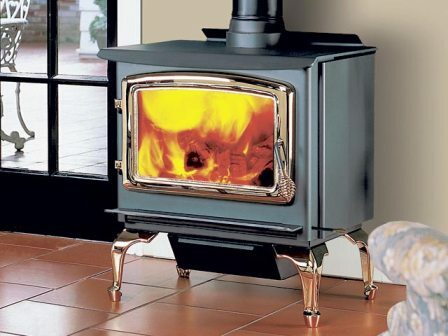 Enviro pellet stoves offer clean efficient heat at the flick of a switch. Environmentally friendly and beautiful to look at, these low maintenance units will enhance the décor of any room. 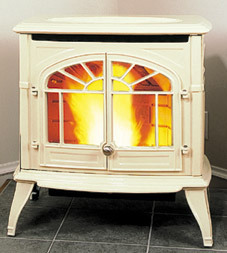 Cast Iron and porcelain finishes turns you’re stove into a refined piece of furniture. Economical & Versatile! This gas fireplace uses only pennies per hour, operating on clean burning, economical natural gas or propane. Less then 14" in depth makes installations with a minimum of space possible. An Enviro stove delivers warmth to any home at the flick of a switch. Romantic log sets with glowing embers and dancing flames will entertain you on those cold winter nights. High efficiency, clean burning and low running costs provide heat even when the power is off. The cast iron turns your stove into a refined piece of furniture. 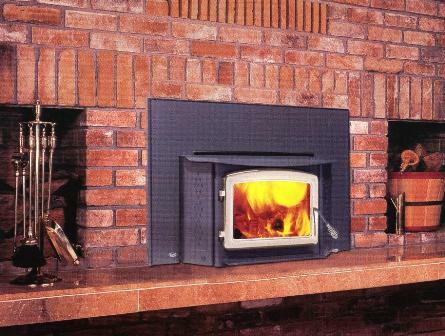 If you are looking for fireplaces, wood, pellet or gas stoves, playsets or sheds in Baltimore MD, Randallstown, Reisterstown, Timonium, Cockeysville, Towson, Lutherville, Mt. 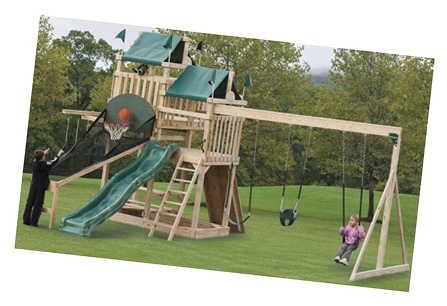 Washington, Owings Mills, Pikesville, Ellicott City or Columbia Maryland, please be sure to stop by Rockland Woodworks.